Maintain the safety and privacy of your important customer data, campaigns, videos and business communications with VidCorp. Our secure cloud video hosting platform utilises a wide variety of safety protocols, specifically designed for businesses with storing sensitive data onshore. Here at VidCorp, we regularly undergo security audits via independent third parties, making security and compliance hassle free. Do you have particular video messages that require tailored secure distribution? You only want a particular targeted group to have access to or only certain individuals to view a video once and others to be restricted from video sharing? You can do all this and more with our secure video distribution platform and cloud hosting. You have the ability to tailor the desired level of security and privacy settings along with the level of social share-ability for each and every campaign. Your reports, campaign data and analytics are safely stored in the cloud. We accommodate your storage needs by allowing terabytes of data to be stored safely and securely. Say goodbye to USB disasters. Choose how protected or open you would like your campaigns to be. Easily share or keep your data completely secure – it’s easy to do either! Our secure video distribution platform will give you peace of mind knowing that your data and vital campaign documents are safely stored in the cloud. You’ll enjoy the flexibility to create passwords and security walls for blocking unwanted views on not only videos, but of the link itself. Ability to block specific messages. Customisable individual campaign security levels allow you to share or protect your data as desired. Capability to block specific devices from campaign views, enable or disable video downloads. Password enablement for secure video distribution viewing. Ability to limit number of video views and time spent viewing. Direct restrict IP addresses and hide URL’s from bookmarking and sharing specific campaigns. Block social media shares and links through the video. Restrict contacts from viewing on their device. Shareholder information can be stored securely and shared as much or as little as desired. Customer details reminder/changes are stored safely in the cloud. 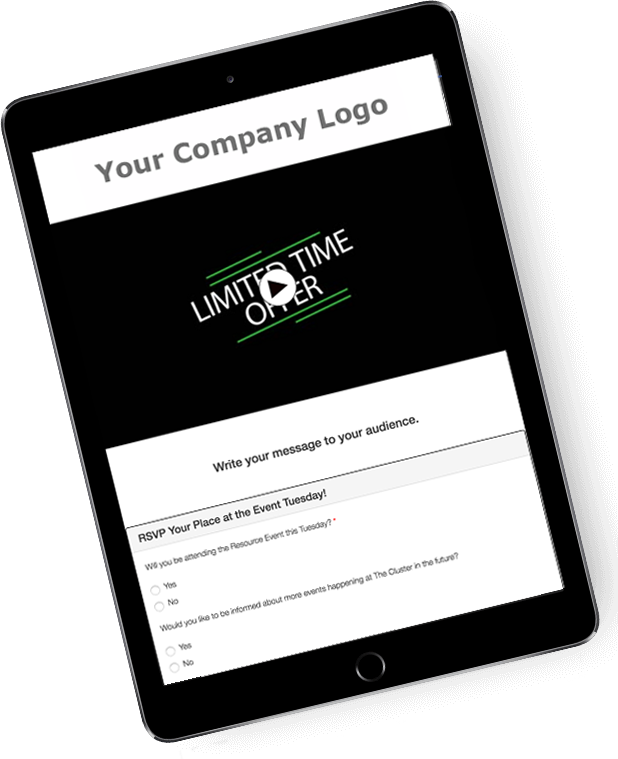 Restrictions can be easily placed on videos and secure campaign data to so that certain contacts or employees do not have access. With VidCorp’s secure and reliable video communication solutions, your customer lists, videos and campaigns are safe and protected under lock and key! Only you have the power of deciding who is allowed access to secure data. Nothing gives you better peace of mind than knowing your most sensitive information is kept onshore and fully protected.